May 16 & 17 and May 23 & 24 – Flowers for Food. Buy amazing flowers for your home while helping fill the coffers with hay! 2 Denver locations – Central – West Washington Park, 760 S. Emerson Street, Denver or North Denver – 5175 Perry Street, Denver. Pricing and products on website. July 18 – Black Tie Silver Shoes. 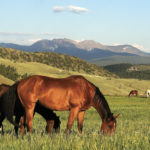 Enjoy an evening with horses at the Queen City Horse Show at the National Western Events Center in Denver. October 2 – Hay Bales & Horse Tails – Amazing evening of food, fun and shopping for horse stuff! This year will be at the Hudson Gardens cabin on Santa Fe Blvd in Littleton. October 3, Evergreen Rodeo Grounds. 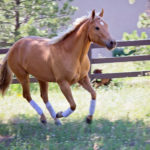 See 10/3 on Event calendar at MtnHomes4Horses.com for more information. Clinic in morning, Ride-A-Test in afternoon. October 4, Evergreen Rodeo Grounds. See 10/4 on Event calendar at MtnHomes4Horses.com for more information. Clinics in morning, competition in afternoon. McKeever Arena, 12190 S. Ridge Road, Conifer, CO. 303-697-9537. Reffel’s Arena, Wandcrest Drive, Pine Junction. 10am-2pm. [email protected] 303-674-0340. Annual membership is $150 for the season plus $25 weekly sorting fees. Come as a guest for up to 3 times at $50 per weekly sorting. Come see why ranch sorting is the fastest growing equine sport in the country and fun for riders of all ages! Sat. 5/30, Sat. 6/6, Sat. 6/13, Sat. 6/27, Sat. 7/4, Sorting and BBQ/4th of July Potluck, Sat. 7/11, Sat. 7/18, Sat. 7/25, Sat. 8/1, Sat. 8/8, Sat. 8/15, Sat. 8/22, Sat. 8/29, Sun. 9/6, Sun. 9/13 Buckle Sort, Sat. 9/19, Sat. 9/26. Sun. 9/6, Sat. 10/3. June 19 Friday – Friday Family Fun Night Benefit for Tim Shirley 3:00pm and 10:00pm. Great family event including muttin bustin, stick horse races, barrel racing plus many more activities. Live music will be provided by ‘Runaway Train’ from 8:00pm to 10:00pm. September 6 – Equine Event – Rodeo Arena, more info to come! Evergreen, Colorado. www.syzygy-co.com. [email protected] 303-670-7244. 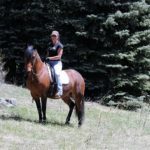 Ever wish you had people to trail ride with and see all of our amazing local parks? Now you do! Most of the rides are on varying weekdays and are at a different park each time. This is a small group and safety is key. We ride to the level of the greenest horse or rider. Dates and times vary. Email me at [email protected] to be added to the list. Questions? 303-638-0994. Red Hawk Ranch, 12754 US HWY 285, Conifer. Other events coming, check website for latest information. www.tuckerblackhorsemanship.com, or www.rhrconifer.com. [email protected] 303-870-8389.